Some tasks are very fast to complete, others actually last a few days before completion. This is especially true with teamwork, when breaking big tasks down into smaller ones, which are then dispatched to team members. In a way, some of these tasks then become small projects of their own. This is why we are now introducing date ranges on tasks in Azendoo. 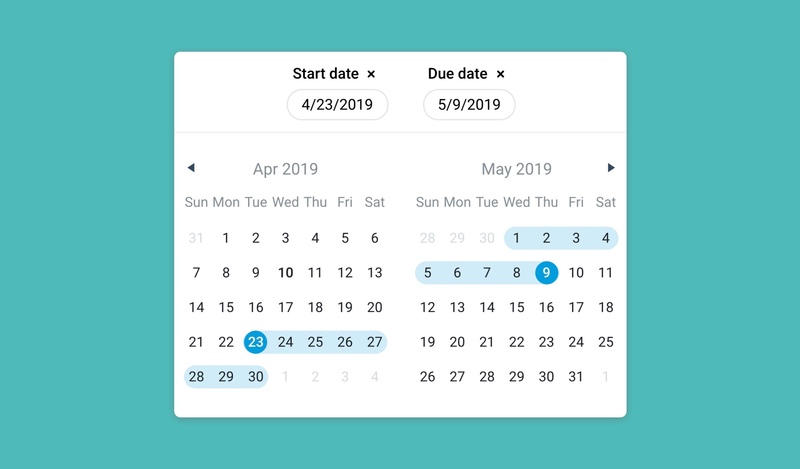 Date ranges allow you to select a start date, on top of the existing due date, in order to have a time period on your tasks. 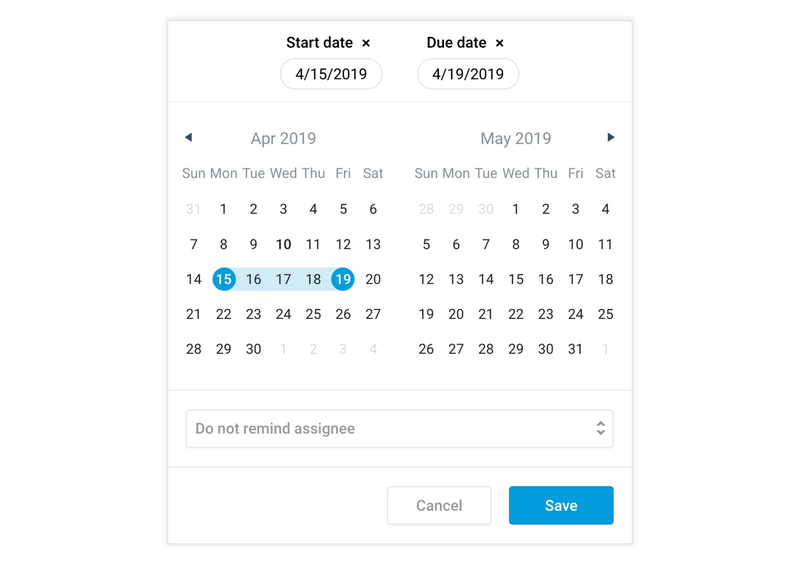 You'll be able to quickly identify which tasks have date ranges within your lists and task card thanks to the calendar icon and the arrow between the two dates. 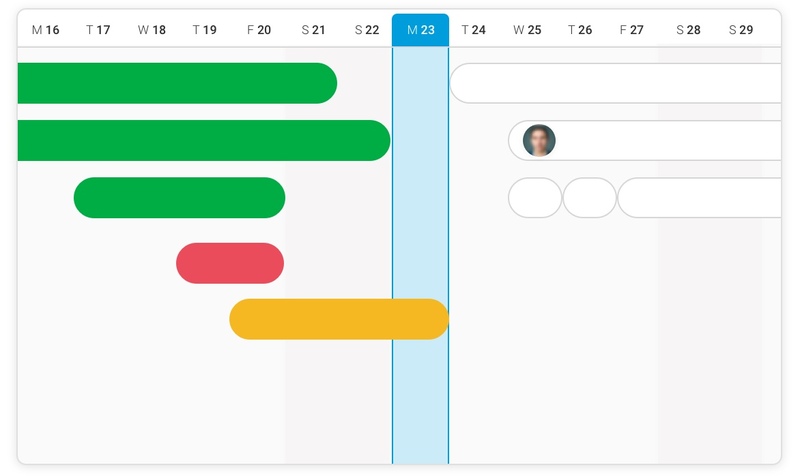 From now on, when selecting a date on a task, you'll be able to select one date or two dates. If only one date is selected, then this date is the due date you already know in Azendoo. However, if you select two dates, then the first chronologically date will be the Start date and the second date is the Due date, which together make up the task Date range. To accompany this change, you now have a new Planned tasks list which lists all the tasks with a Start date. This view is available at the personal level (My Tasks). We made a few other adjustments to some existing task lists to make them more relevant. We hope you find the new feature of date ranges useful and enjoy them. In the meantime we would love to hear about what you would like to see in the upcoming Timeline feature and your expectations.